The "TOS5300 Series" is a series of test instruments used in Hipot (withstanding voltage) tests and insulation resistance tests, two of the four tests regarded as necessary for ensuring the safety of electrical products. With an output of 5 kV/100 mA (AC) and 6 kV/10 mA (DC), the series can be used in Hipot (withstanding voltage) & insulation resistance testing of electronic equipment and electronic parts, based on the requirements of IEC, EN, UL, VDE, JIS, and other international safety standards and the Electrical Appliance and Material Safety Law. Also, the test voltage stability is improved with the adoption of a newly developed switching amplifier. 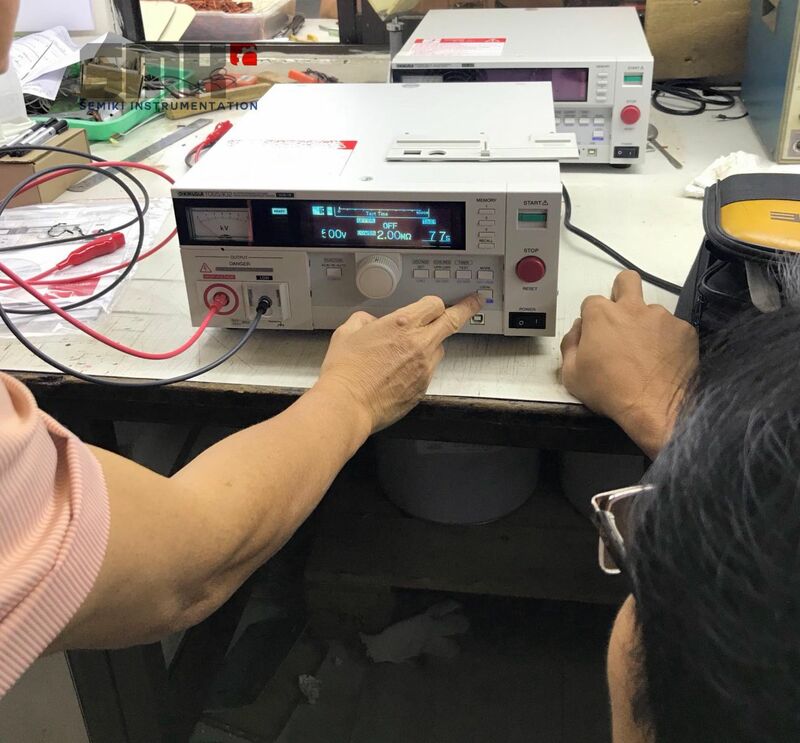 Since the output voltage can be kept constant even when the AC line voltage or frequency changes, consistent testing can be performed, even when the power supply environment is in an unstable region. The TOS5300 is also equipped with a number of features that are capable of meeting a variety of test needs. It is a new low-cost standard model that provides thorough operability, reliability and safety.